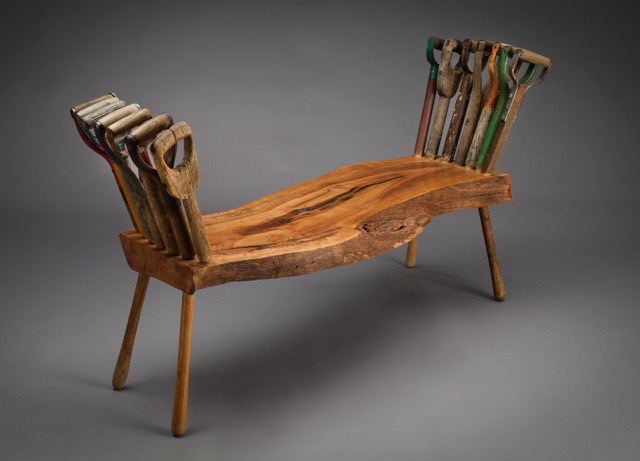 If the furniture we sit on every day were totally different, would our lives be different too? 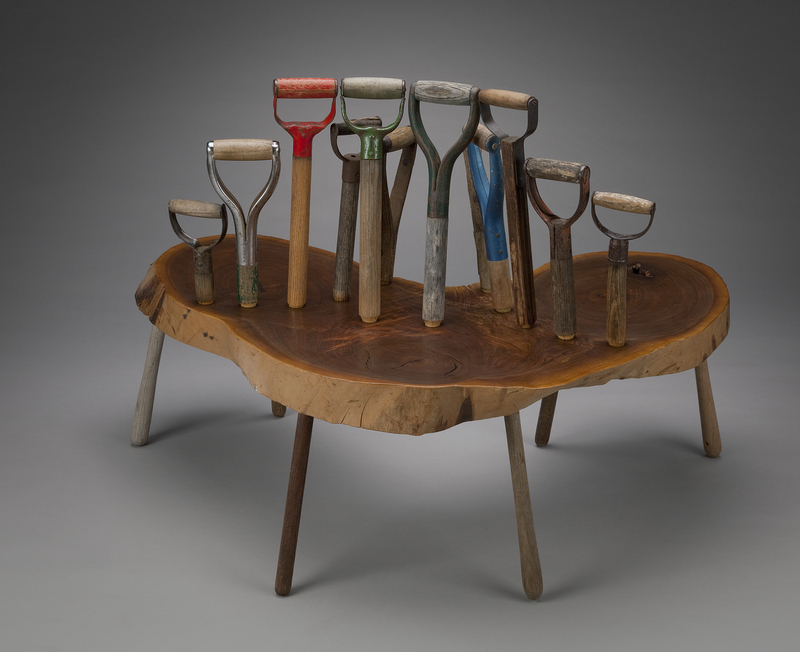 That is one question posed by Madison-based designer/maker Tom Loeser. 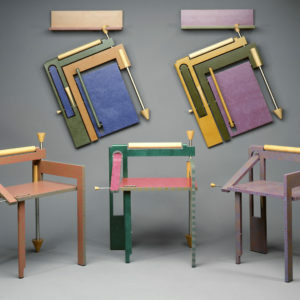 His longstanding investigation of unconventional, invitational furniture forms began in the early 1980s with a series of Folding Chairs, colorful seats that double as wall-hung art. 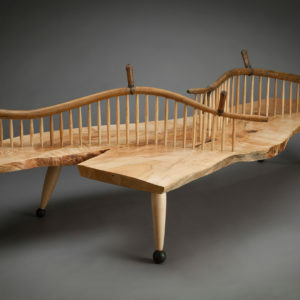 In more recent years, he has made chests that swivel and slide, rocking chairs for two, rotary-action benches, and many other surprising shapes. 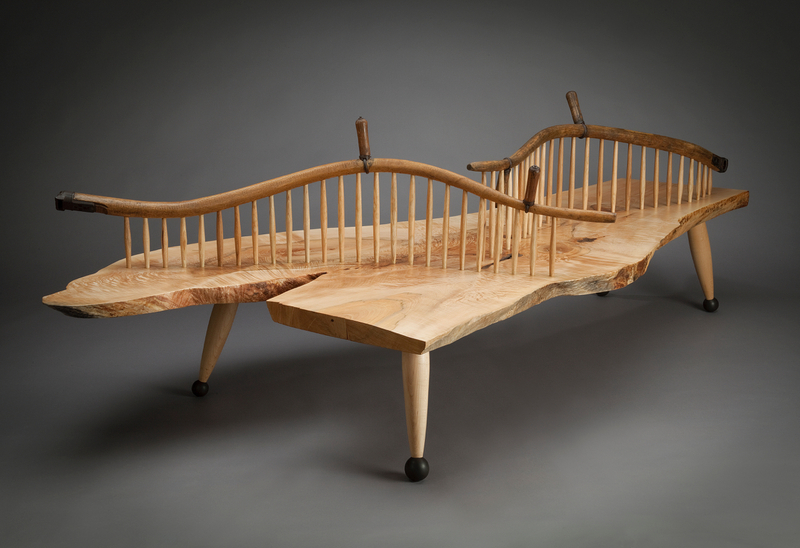 When in use, these pieces immediately create opportunities for interaction – not only between people and objects but between people and other people too. 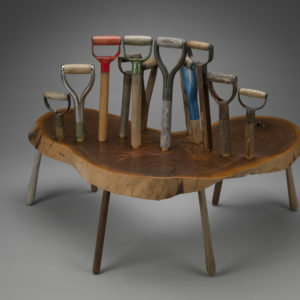 Accessible and entertaining, to be sure, Loeser’s work also has a purpose: to shake up our habits, and encourage us to be playful with our environment and with one another. 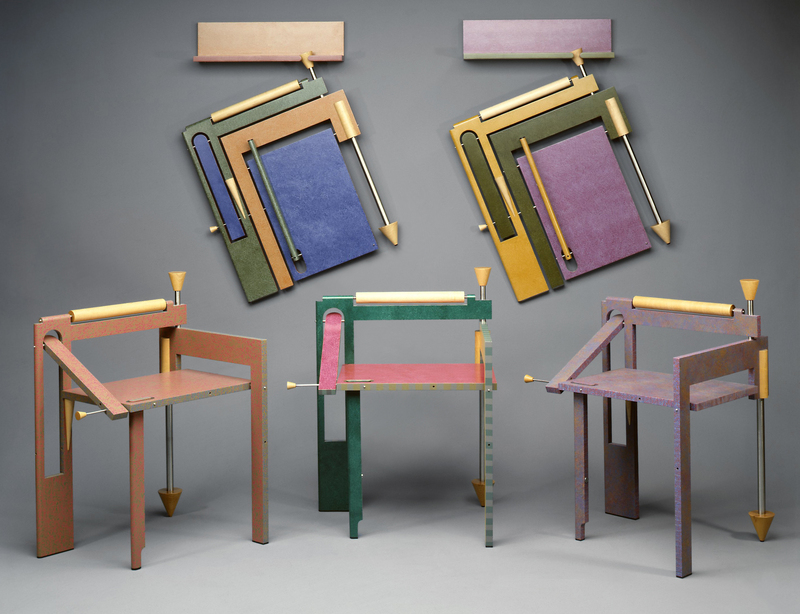 The exhibition will comprise approximately 20 furniture pieces by Loeser, most of which are newly made; as well as framed artworks. 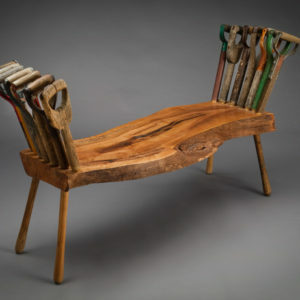 This exhibition is presented by the Museum of Craft and Design in partnership with the Houston Center for Contemporary Craft. Tom Loeser: Please Please Please exhibition catalog: This exhibition is accompanied by an illustrated publication with essays by guest curator Glenn Adamson and author of Amateur Craft and Theory, Stephen Knott. View a preview of the catalog here and purchase your copy at sfmcd.org or in our museum store.